1) These outliers are a product of the culture wars. The more we intensify just disdain for each other the more each sides of the culture wars are convinced we have a real enemy in each other. Whether we are cheering on Liberal Secularism or Zionist – styled American Exceptionalism or anything in between, our dismissive treatment of each other, further convinces each of us that we have true enemies, or even perhaps that we are being persecuted. Regardless of what side of the culture wars you fall on, the more you play, the more you fuel your opposition. 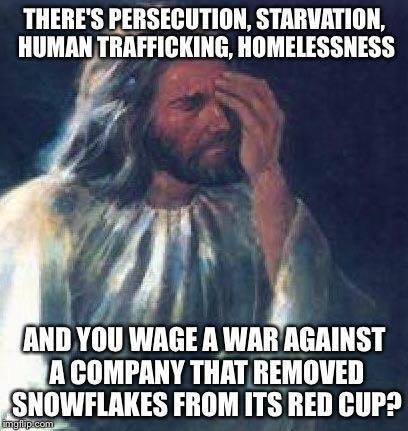 2) It’s easy to list things these Christians should be doing instead of whining about the absence of snowflakes prints on their to go coffee. But before we hold their feet to the fire, to what extent are the things you think that whining Christians should be doing instead actually things you, yourself, do? If not, that walks the line of hypocrisy. No throwing stones please. the Christian colors for that time of year are cirrus blue or deep purple. For Christmas tide (which begins on December 25th) the colors are white and gold and last for 12 days until Epiphany on January 6th. 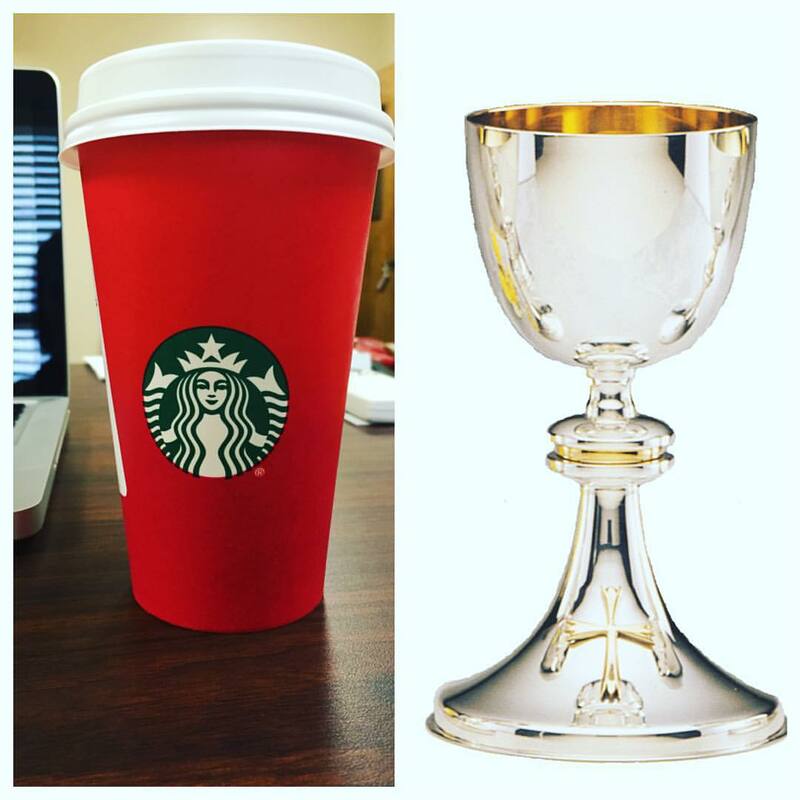 Red is a color for feast days, not seasons. It’s wanton consumerism, shopping early and sentimentalizing the season rather than fasting and repenting as is prescribed for Advent, that is the war on advent/Christmas and that comes from inside the church as much as from without. can’t help but feel a little of what their feeling even though my reaction is different. Christmas has been a rich and sentimental time that many lucky folks associate with family, good times, and spiritual reflection. 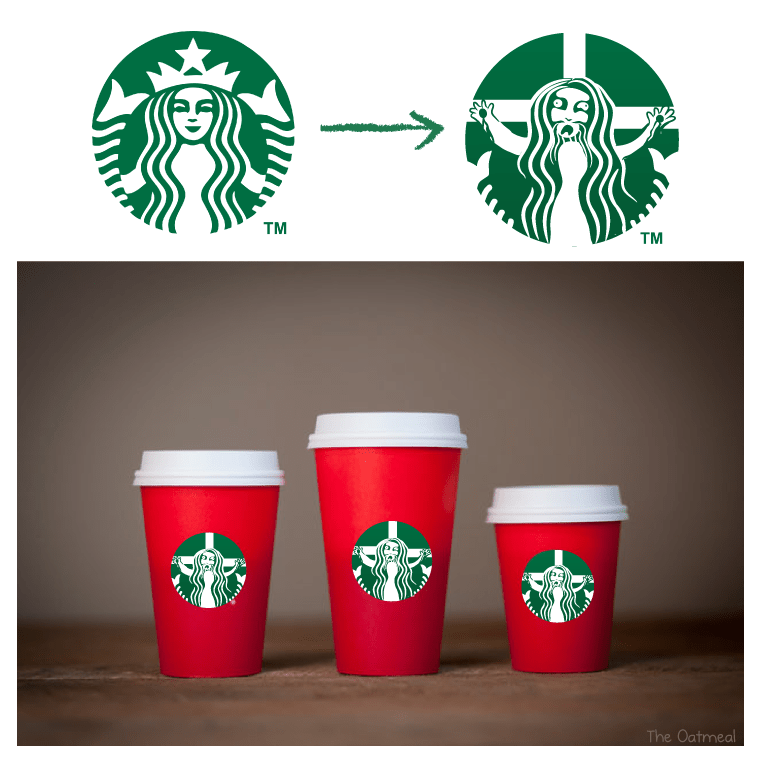 While it may or may not be a war on Christmas it is a major cultural shift. This is my favorite time of the year and I am sad that Christians have moved away for the ancient traditions, but I am also going to miss it when the Christmas lights, carolers, and bright colors disappear enitrely. jections to it overwhelm the desire for it. For me it is important as a discipline to sing the words to Oh Holy Night on the capital steps. It challenges me to embody my faith and pursue its hope even at the steps of Caesar. I love that. I’ll have to keep doing it no matter what, but I will miss it when the crowd is gone. So remember that these squeaky wheels are not just ranting, they are grieving a world which seeems to be slipping away, and indeed it is. I can’t help but wonder how a little compassion might be more transformational than a mocking FaceBook post. I have come to believe less in a war on Christmas than in a war amidst Chrstmas. We love to tear each other down and mock each other. Do we not? Don’t get me wrong, as a misfit theologian who is wedged between different worlds and concerned about the cultural witness of the Church I don’t mind calling out unchristian behavior done in the name of Christ. More importantly, however, as a Christian I believe in the transformational power of hope and grace, and those are usually best served from a humble cup than from a soap box.